Not long ago I sampled a cake from a bakery that boasted seven forms of chocolate. "Seven Deadly Sins" they called it. It had two types of dark chocolate frosting, milk and white chocolate pastry cream, white chocolate curls... you get the idea. All those chocolates sound interesting when used in one cake, but I thought those "seven sins" could be more... sinful. The gears began to turn. Last week I finally pieced together what I consider the best of the best, and here you have it. A truly sinful Seven Sins Chocolate Cake. Shall we meet the players? 1,2,3: The trio of pastry creams all work together without being overly sweet, and they all retain their individual nuances of flavor when eaten together. I could eat a vat of each on any given day. 4: Can we all agree that a "Seven Sins" cake should have Devil's Food as a base? Yes? Good. This one is moist and has a structure sturdy enough for torting. 5: Milk chocolate marshmallow frosting - it's as good as it sounds, and probably a bit lighter tasting than you'd expect. 6: Dark chocolate drizzle is the perfect counter for the light-tasting marshmallow frosting. It demands attention, both in flavor and appearance. 7: Squares of chocolates and chocolate shavings are a pretty and tasty decoration. It's like dessert on top of dessert. The striped chocolate squares are made by Dobla and I found them at World Market, but if you don't have a store locally, Godiva and Lindt chocolate squares are pretty and easy to locate. The silver chocolate buttons are from Fancy Flours. I recommend making this cake over the course of 2 days. The devils' food cake and pastry creams can be made on the first day, and the frosting, drizzle and assembly can be completed on day 2. 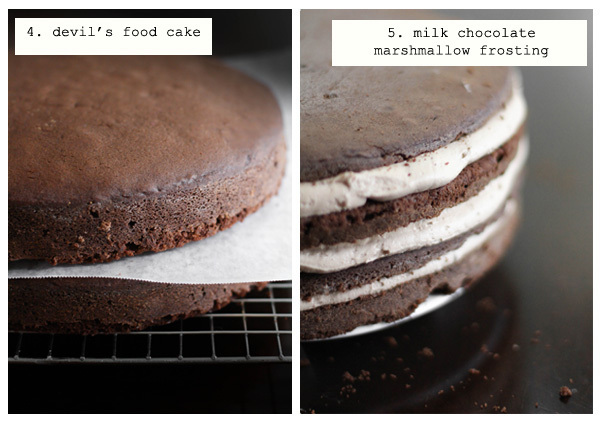 This is my favorite devils' food cake recipe adapted from a Rose Levy Beranbaum recipe. This double layer cake gets torted and filled with three types of pastry cream. Tip: Instead of picking up a torted cake piece with your hands, slide it onto a large plate. This will keep the cake from breaking into pieces and makes it easy to slide the piece back onto the filled cake. Preheat oven to 350 degrees. Grease two 9-inch cake pans with vegetable shortening and line with a circle of parchment paper. Grease paper and flour; tap out excess and set pan aside. With the mixer off between additions, add the egg mixture in two parts, starting on medium-low speed and gradually increasing to medium. Beat on medium speed for 45 seconds after each addition to incorporate the ingredients and strengthen the structure. The batter will be fluffy. Scrape down the sides of the bowl. Using a silicone spatula, scrape the batter into the prepared pans and smooth the surface evenly with a small offset spatula. Bake for 30-40 minutes (check at 30). Cake is does when a toothpick tester comes out clean and the cake springs back when pressed in the middle. Let the baked cakes cool in the pan on a wire rack for 10 minutes, then turn cake out onto a wire rack sprayed with cooking oil. Let cool completely. Adapted from the SprinkleBakes book. Tip: Be sure to temper eggs carefully! If you goof a little and pastry cream turns out lumpy, pass it through a fine sieve before refrigerating. Have ready three small bowls (2 cup size), wiped spotless of any moisture. Chop the chocolate evenly and place each type of chocolate in a separate bowl. Set aside. In a small bowl, dissolve the cornstarch in 1/2 cup of the milk. Beat the whole eggs, then the yolks, one at a time, into the cornstarch mixture. In a saucepan, combine the remaining milk and the sugar; bring to a boil, whisking constantly. While whisking the egg mixture, slowly pour 1/3 of the boiling milk into it, to temper the eggs. Return the remaining milk in the saucepan to medium-low heat. Pour the hot egg mixture into the saucepan in a thin stream, whisking, so as to not scramble the eggs. Whisk constantly until the mixture thickens and begins to boil. Remove from the heat and pour the hot pastry cream over the chopped chocolate, dividing evenly between the three bowls. Let stand for 2 minutes, and then stir each bowl until mixture is well incorporated. Mix 1 tbsp. butter in each of the bowls. When butter has melted and is thoroughly combined, fold in 2 tbsp. whisky into the dark chocolate pastry cream; 3 tbsp. dulce de leche into the white chocolate pastry cream; 1-2 tsp. espresso powder into the milk chocolate pastry cream. Press a sheet of plastic wrap directly on the surfaces of each type of pastry cream so they do not form a skin. Cool to room temperature. With a hand mixer or standing mixer fitted with the whip attachment, beat butter for 3 minutes until fluffy. Add powdered sugar and mix on low until incorporated. Add melted chocolate and beat until fluffy. Add marshmallow cream and beat until frosting has lightened in color and all ingredients are well combined. Scrape down bowl and mix again. Transfer 3/4 cup to a piping bag or zip-top bag with the corner snipped for later use. Cut each cake in half horizontally (this is called "torting"); pipe a line of frosting around the edge of the first cake piece. This makes a reservoir in which to hold the pastry cream (this is extra insurance, sometimes pastry cream is lax if not well refrigerated). 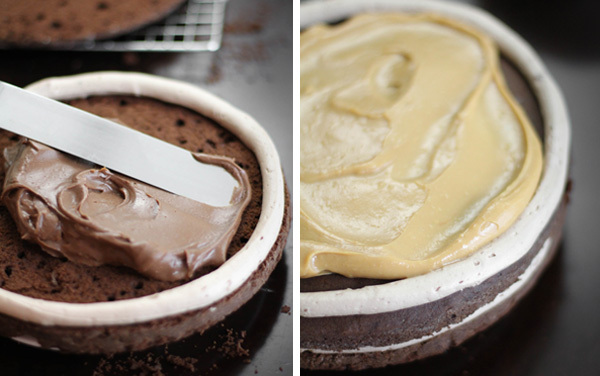 Spread the pastry cream inside the icing ring and top with another cake piece. Pipe an icing line as before and fill white chocolate dulce de leche cream; repeat with the next cake piece and milk chocolate mocha cream. Top with the final cake layer and frost the entire cake. You may choose to crumb coat the cake and refrigerate, then do a final smooth coat of icing (recommended). Note: This portion should not be made ahead. The chocolate thickens quickly and needs to be applied to the cake 10-15 minutes after making it. Place chopped chocolate in a medium bowl. In a 4-cup measure, heat cream until very hot but not boiling (about 45 seconds for me, but all microwaves vary); you can also do this in a saucepan over medium heat if you don't have a microwave. Pour hot cream over chocolate and let stand for 2 minutes. Whisk until all chocolate is completely melted and mixture is consistent. Whisk in corn syrup and vanilla. Let mixture stand until slightly thickened - about 10-15 minutes. Pour over cake; allow the mixture to run down the sides of the cake in fingers. Pipe frosting in mounds around the outer edge on top of the cake. Sprinkle-on chocolate shavings. If using, place a chocolate square in the center of each mound and place a silver button in front of each square of chocolate. Important! Keep this cake refrigerated, but be sure to bring it to room temperature before serving. Pastry creams and frosting flavors are fully developed at room temperature. Seven delicious sins!!! I'm impressed. This cake has got to be a record of sweetness! :D Yum! OMG. This looks ridiculously deliciously sinful! Love it! You seriously amaze me. This cake is so beautiful! I give up. I'm pretty sure nothing I could ever make, or ever eat, for that matter, could top this cake. OMG.. This is spectacular. Your photos, the recipe... chocolate, chocolate, chocolate! Beautiful.. Definitely seven deadly sins.. all sweet.. Please know that if I had the money I would beg you every day to be our personal pastry chef. You. Are. Amazing. Oh my goodness! I'd spend a day in hell if it meant I got to eat at least one piece of this cake. Oh man, you're killing me! I cannot even handle how incredible this sounds. You put everything I love in one cake. Congrats! Yup, this looks sinful alright! Love the different flavored layers. Yum! Wow! This looks AMAZING! I seriously was drooling while looking at the photos. Those spoons...can I have a taste from each please? I've been reading your book, word by word, starting at page 1. Woman. My god. The detail of the recipes and the photos and your skills...thank you for sharing it with all of us! Just gorgeous!! Just breathtaking! I love it! This isn't a 7 deadly sins cake, it's a 14! Seriously, I'm sat here completely drooling at the idea of all the flavour combos when my stomach starts to groan in agreement. TRIUMPH is the word that pops to mind! I love that you gave it so much thought and assembled something truly extraordinary. 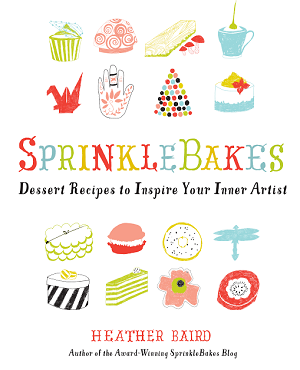 :-) Your book just arrived in my mailbox today - I can't wait to peruse (and bake)! Holy Moley!! That is by far the most ridiculous chocolate cake! I LOVE it! This looks amazing!!! I am going to try to adapt this into cupcake form! 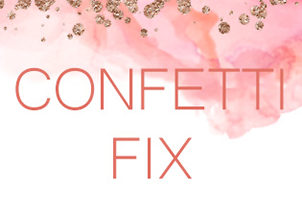 Do you have any suggestions? Woah! This is seriously a seven deadly sins chocolate cake, and I wouldn't mind commiting every sin as I eat this cake. It looks truely fantastic! You've killed me with this recipe. I don't even know what to say. No words...I can't believe how crazy delicious this cake looks! This is like the dessert equivalent of The Expendables 2, except I'd take white chocolate dulce de leche instead of Jean Claude Van Damme any day. This is ridiculous in the best possible way! Amazing! Ummmm...why aren't you my neighbor? Seriously. Why? You call it Seven Sins, but it truly looks like heaven!! My mouth is literally watering! That may very well be the most tasty cake I have ever seen! This cakes is absolutely beautiful; it looks and sounds incredibly delicious and sinful! Beautiful photos as always! That really an art piece! Maybe thatbshold be the birthsday cake for my 30 birthsday!!! You are so talented! Have a wonderful day! A labor of love and sinfully delicious! It's signature SprinkleBakes!!! WHOA! That cake is incredible!!!! Love all the flavors, wow! My imagination is doing wicked things....like running to get a pen to write down ingredients. Holy Moses that looks (devilishly) good! Ohhhh, how I wish so badly that you were my next door neighbor/ friend. This post is blowing my mind. 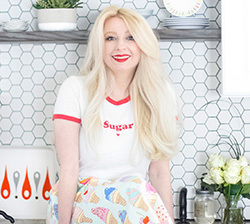 As always, I want to start baking after reading your blog. I am based in France and can not find marshmallow cream in the stores. Is it possible to make this from marshmallows? 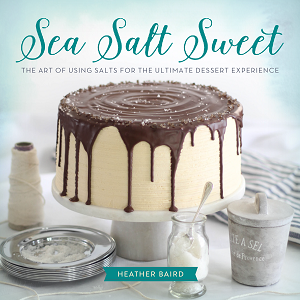 Oh, Heather- you are crazy in such an amazing way! This must have been a good deal of work to pull off! So glad you love what you do and bring us this kind of chocolate masterpiece! Awesome! 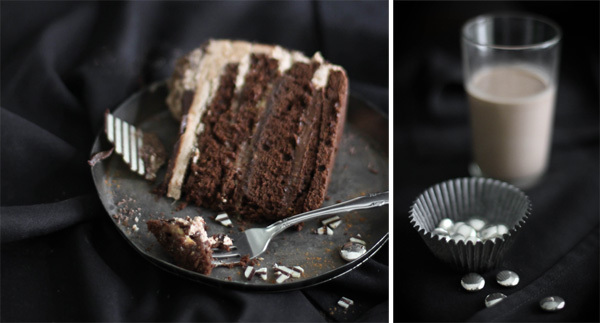 I don't know what's making me drool more, the dark chocolate whiskey cream or the milk chocolate marshmallow frosting. Seriously, this is insane, and I love it! Oh wow, I think I've just put on a stone looking at this cake. It looks AMAZING! O.M.G.!! I think I just licked my screen! I am sure that this is the ultimate chocolate cake!! OMG it just looks amazing! Amazing! This is definitely a long weekend project! 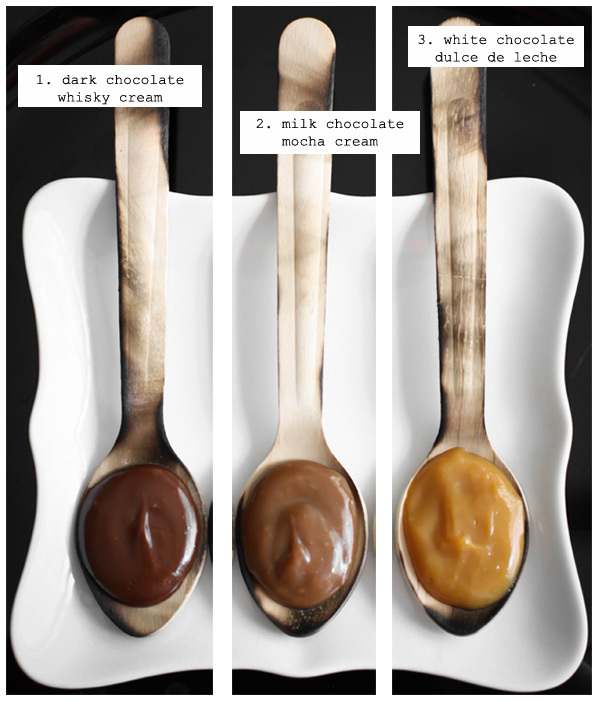 The dark chocolate whisky cream, milk chocolate mocha cream and white chocolate dulce de leche were incredible looking. Just to look at them makes me hungry. Wow! That is truly amazing and dedication! I hope you had a very special occasion to enjoy this with! Personally, I think there's always an occasion for making a chocolate cake but this is something else! I would have to take a bite...go run around the block. Another bite...around the block. Yep, that would be me...but it would be worth it. Oh... oh my! I'm not sure the three lovely pastry creams would even make it into the cake. On the other hand, I'm pretty sure it would be worth the restraint for this cake! This is definitely the cake for the next lucky birthday boy/girl I come across. Oh my, I think I died and went to heaven!!! This looks AMAZING!!!! As far as I am concerned there is no such thing as too much chocolate, and this definitely takes the cake. Pardon the pun! How do you continue to come up with these amazing treats? Looks almost too beautiful to eat! I think you should frame it instead. It is a work of art. Ready to be sinful...Really looks magnificent! Yummy! Once this cake is completed,well, it would never see the fridge. Not sure I could even assembled it before digging into it. Heaven is a much better name for it. This is probably like 87 sins but I love it! The pictures are absolutely amazing and it sounds like heaven. It's definitely going on my to do list! I just died 7 deaths. Heather- you kill me in a good way!!!!!!!!!! OMG this looks a-mazing! I have a chocoholic girlfriend that is throwing a Memorial Day party and I have to make this for her! So beautiful! Add a sin every time I take a bite! Wow. I am working on making this for my sons birthday. cream as I am not sure when it is completely done. any suggestions for testing for doneness-- I dont want it to be too runny either. Thanks so much for a wonderful blog. It's inspirational! Here's a visual cue - The mixture will no longer be bubbly around the edges of the pan and it will turn glossy. It will thicken close to a pudding-like consistency. It shouldn't be so thick that you can't pour it. When the mixture is chilled in the fridge it will firm up. So Good ! This cake is so beautiful! Un pastel divino,es un manjar de dioses. This cake looks absolutely sinful, the name couldn't be more appropriate! Hello wider hips! I recently started a blog and would love to have you check it out sometime. Always value the opinions of great food bloggies! Hello from the Culinary Experiment Station: Home of Edible Trials and Errors! Your cake turned out lovely! Made me want to try it. However, my pastry cream is lumpy with tiny lumps (I think from where the bubbles around the outside of the pan may have scrambled). It's going to take some practice, I'm sure. I'm going to use it anyway, though, as my husband and his mom (whose eye sight is bad, anyway) probably won't even notice... or care. Why waste perfectly good ingredients. This will do for the first time. The next time I'll do things differently. Thanks for the great idea and instructions! This is so wrong, yet I want it so. It's so gorgeous, I love simple desserts most of the time, but sometimes you just need a huge piece of chocolate overkill. Perfect for those days when you think you just may kill someone for real. Now this is what I call chocolate cake! I wanna get chocolate wasted! This is one gorgeous cake -- the chocolate squares look like little flags. 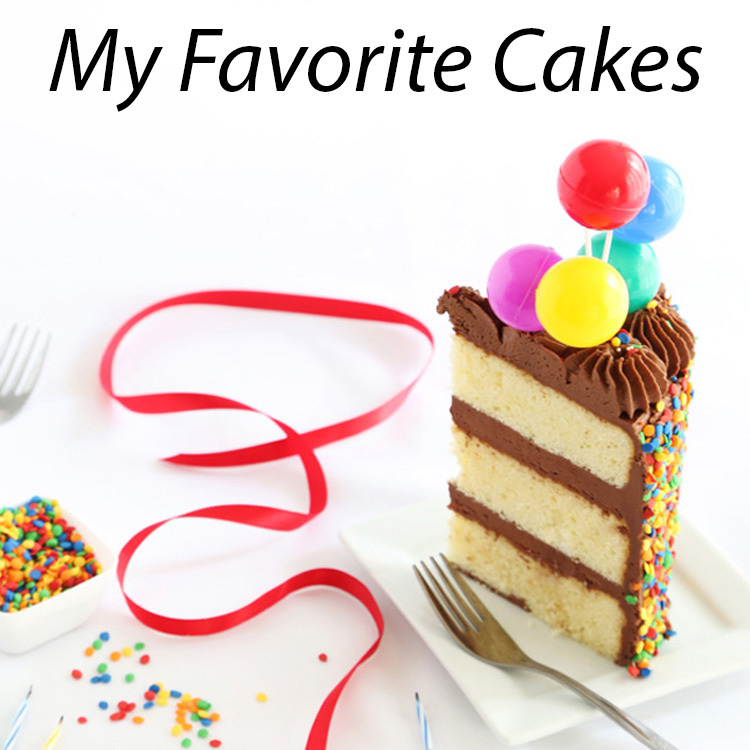 I'm not much of a cake fan, but the title made me look at it and I think your additions beat the original for flavor. Good job. This looks like a work of art! And I am a HUGE fan of the chocolate marshmallow frosting! I could eat it with a spoon, or use it to make "s'mores!" Is this cake legal????? Beautiful!!! Made this for my sons birthday. It was a huge hit. assembled cake is very forgiving. If there was a tiny lump in the cream filling you don't notice. the fillings seep into the cake layers. the book it will just be a bonus, this blog has already been so helpful. Oh my goodness! This would have been perfect for my chocolate-themed wedding! Will have to give it a go when I get some time! This looks insane! Truly seven deadly sins..can't wait to try it. I love how it looks, so gorgeous! Sweet heavens...this is SOME CAKE! Everything looks amazingly tasty, but together? I think I could eat one slice before falling on the ground, stuffed up with chocolate. It is a dream-come-true-cake! I made this and the outside marshmallow frosting didn't exactly turn out the way it looks in the picture. It looks fluffier and more like coolwhip texture. Mine turned out a bit gummy/paste like. I followed the directions to a T, so not sure what happened!??? Any tips on that? Also the vanilla custard on bottom started melting out the sides of cake even after putting a safety ring of marshmallow choc frosting around the edge like directions say to do. Not sure what happened there? None of the others sleaked out. Also my choc drizzle top coating never really hardened like it was suppose to and I even put it in the fridge after I iced the cake, hoping it would harden??? Need help!? It tasted really good, but definitely didn't turn out looking as nice as yours. Holy wow! you're a chocolate genius. I made this cake under severe constraints, making a 3-layer, without the whiskey chocolate, ran out of eggs so made espresso and dulce de leche ganache instead of pastry cream ( I'm afraid of tempering eggs anyhow) and all in the span of 7 hours! I must have washed my bowls and beaters 5 times each. Every part came out delicious, and I don't think my boyfriend has ever had a better cake made for him. I had enough drizzle to cover my bananas and pineapple too! Much thanks, you're website is like my baking bucket list. Also sorry for the essay. ok, so that is one involved cake to make. Mine turned out a big sloppy mess that I wanted to turn into Seven Sins Trifle! But then I never said I was a pastry chef, just a stay at home mom hoping I could make something so beautiful. I think I will just blindfold my guests and have them eat it anyway! It surely didn't lose any flavour just because it isn't a sight to behold! I love your blog and really want to get that book! Thank you for your inspiring ideas! ....sorry to take up so much space. I used homemade marshmallow cream. We can only get marshmallow fluff here. mix until just incorporated. Voila! Marshmallow cream! I made this for my daughter's Birthday over the weekend. 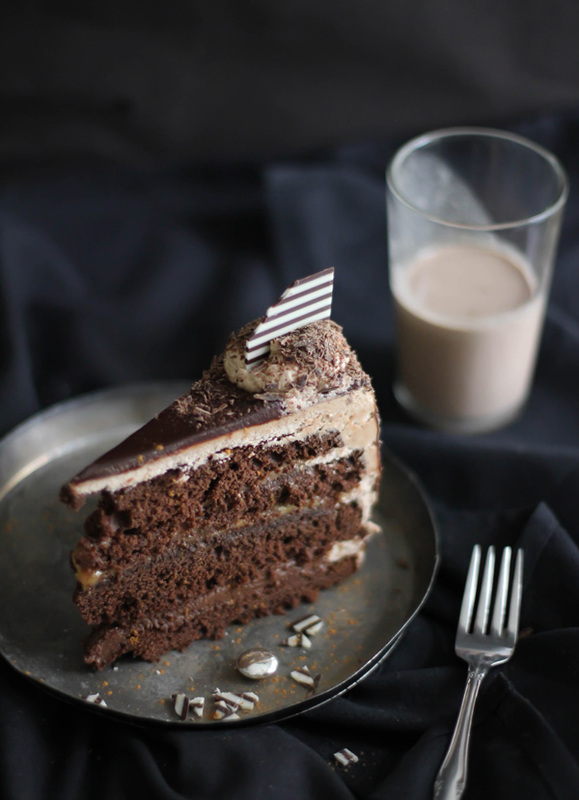 One word for this cake, "DECADENT!" I did have to double the recipe for the frosting as one recipe was only enough to crumb coat the cake. Will be making this again! 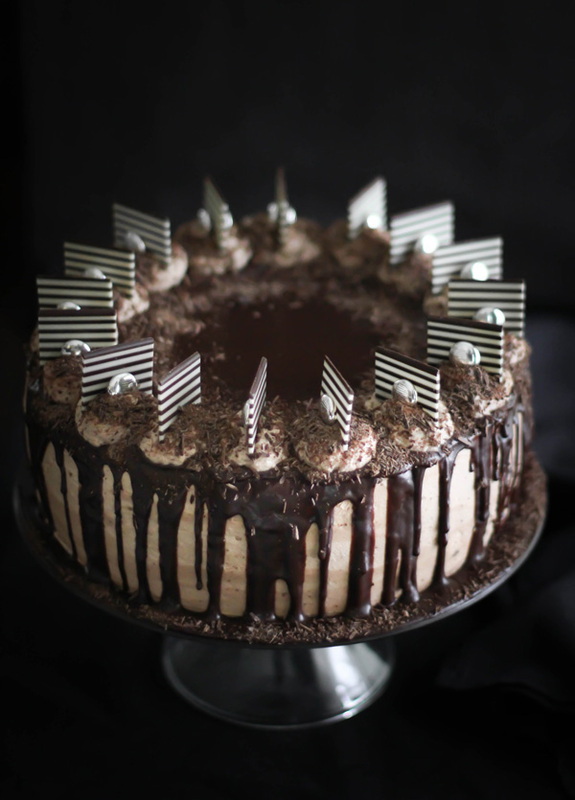 I made this recipe as my own birthday cake (because it's MY birthday and it's 12.12.12 and if the world was going to end I would want to go out eating something this delicious and chocolatey !) and I have to say OMG you are the MASTER of desserts ! 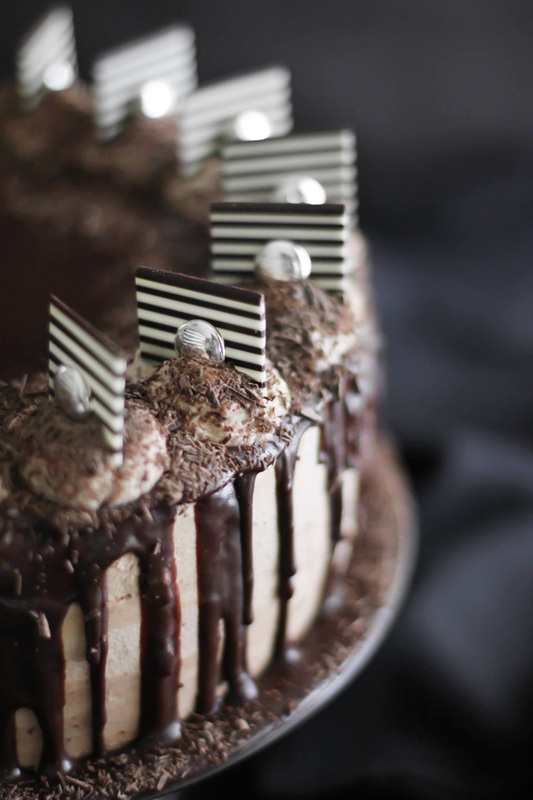 This cake is soooooo sinful and chocolate-filled and fabulous there aren't even words to describe it ! The only thing I changed was to swap Rum for the Whiskey (I don't drink whiskey and I had the rum on hand) and I am floating in eternal chocolate heaven ... Thank you for this fabulous recipe! I can't take off my eyes from it, amazing cake. Do visit on my blog in your free time. Oh Heather! This cake is amazing! Thank you so much for sharing. I'm planning to make this cake for the 3 o'clock coffee break next friday at work. Since I live in Sweden I have to convert most of the units to Swedish standards. I guess your oven is set on Fahrenheit scale, not Celsius? Hi Caroline! You are correct. Best of luck with the cake! I am planning to make it for fathers day but in my local shops i cannnot seem to find dulche de leche. Is it difficult to make? You can find instructions here - thanks! I made this cake and it was worth all the work - which wasn't too bad anyway, because it can be broken up over several days. Absolute heaven. Each element comes out wonderfully. The cake is delicious, the pastry creams silky and flavorful. I have a serving suggestion. My husband and I cut a slice and put Aguirre the Wrath of God on the video. Then every time someone on screen committed one of the Seven Deadly Sins the person who recognized the sin shouted out its name and got to take a bite. (Ha! I got the only instance of Lust!) Perfect way to eat The Seven Sins Chocolate Cake. I just made this for my mom's birthday (I am still a kid), and I am in awe of how beautifully it can together. The flavors complement each other beautifully. After seeing this post a year ago, I never thought I could make it; but after a long time of improving my baking I was able to execute the cake. Admittedly I did not frost the sides, that was seemed too dangerous, but it looked wonderful just the same. Now that is my kind of place! I would love to try the 7 deadly sins. I am a real chocoholic so I just know I would love it! I'm planning on making this in a few days, but can't get evaporated milk where I live. Is it possible to substitute it with something? Maybe use sweetened condensed milk and omit the sugar in the pastry creams? It looks so moist and yummy! 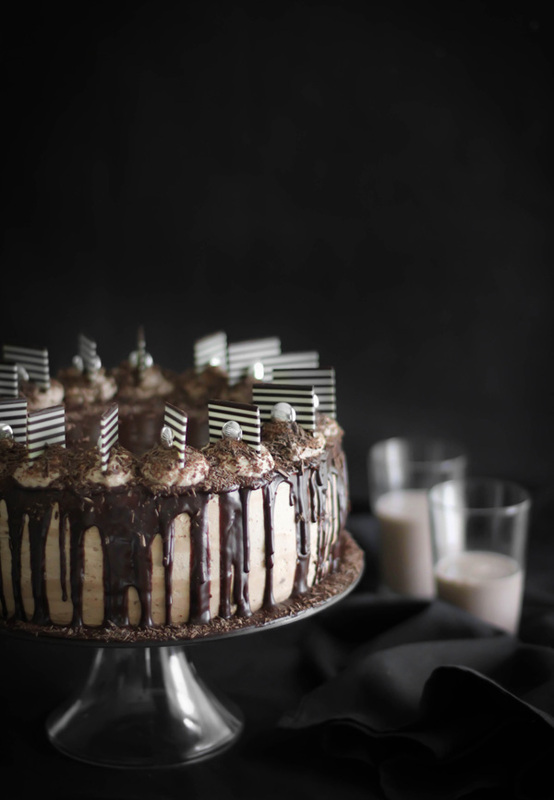 I love anything with chocolate and this cake looks very appetizing !